• 28 Dec 2012 – We bid adieu to TOAST Trust 25 “Sea Butterfly” on 28 December 2012. His stake arrangement was terminated early due to poor race performance. He has since gone on to Kuala Lumpur Malaysia to be trained by Malcolm Thwaites. • 1 Jan - 7 Dec 2012 - TOAST has had a rather successful 2012 rounding up the year with a total of 8 wins. The year started out with a bang as a relaxed TOAST Trust 17 “Flaneur” outsmarted his rivals with a soft lead and coasted his way to a 1st place win for the $75,000 Class 3 Patrick Shaw Handicap 1600m on New Year Day ridden by the front-running specialist Jockey Mohd Zaki. 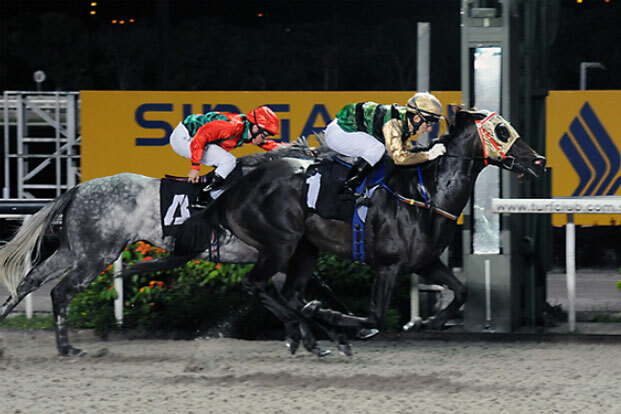 The last win of the year came from Makkura on 7th December during the $75,000 Kranji Stakes C 1000m Polytrack race. Ridden beautifully by Apprentice, Troy See, Makkura proved once again that she is a mare to be contended with. • 28 Sep 2012 – A meeting took place at the Singapore Turf Club ahead of the Friday races to get to know the new Chairman of Racing Sub-Committee, Mr Jeffrey Chan, and to discuss topics such as establishing tripartite meetings, transparency and interaction with owners, track maintenance, cultivation of local talent, revival of amateur racing and increasing the number of quality owners with quality horses. In addition to Mr. Jeffrey Chan, Mr. Alan Ow, Ms. Julia Ho and Ms. Constance Cheng were all in attendance. • 14 Sep 2012 – After some persuading by TOAST regarding the transparency of the barrier draw, the Singapore Turf Club has finally confirmed that “Any owner, trainer or stable representative can be present when the barrier draws are done. They take place about 9-9.30am on declaration morning at the Canteen declaration office.” This was a minor success and we will continue to push for more transparency in support of a manual ball machine draw rather than a computerized draw, to eliminate suspicion that the balloting of barrier draws can be manipulated. • 19 May 2012 – TOAST wishes to thank Mrs. Lily Ho for the preparation of the TOAST Statement of Accounts for the Year of Assessment 2012 and members Mr. Christopher Joseph and Mr. Peter Ugland who contributed their time to the completion of the TOAST Y/A 2012 audit. • 9 May 2012 – A nice casual lunch was arranged with Mr. Soong Tze Ming, Mr. Mike Wanklin and Mr. Alan Ow, Trainer Mr. John O’Hara and TOAST President Ms. Constance Cheng to touch base and discuss our racing matters. 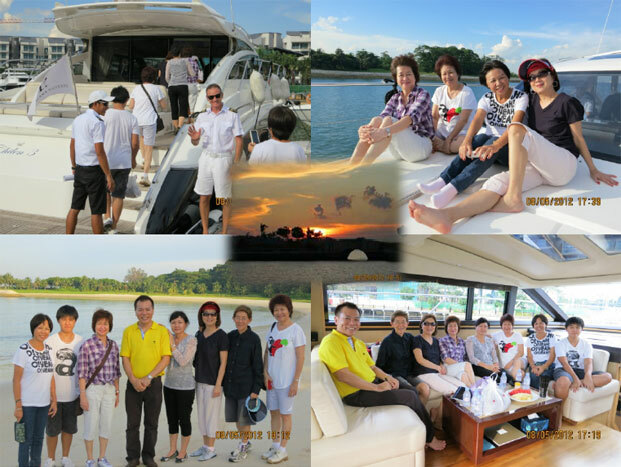 • 8 May 2012 – A complimentary Yacht Cruise around Singapore was arranged for TOAST members. 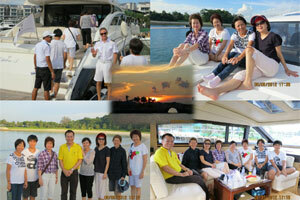 The 4-hour cruise set off at 5pm from the Marina Club at Sentosa and stopped by Lazarus Island. Weather was good and all members who were present had a good time. • 8 Mar 2012 – TOAST President Ms. Constance Cheng and Committee Member Ms. Julia Ho had lunch with Mr. Lau Kian Heng and Mr. Simon Leong from the Singapore Turf Club to talk about cultivating locals in equestrian industry as from this financial year as well as promoting local ownership at the races. Also amongst the topics discussed was the inclusion of Pony Rides and an Amateur Rider’s Jump Out at the Fun for All under the Fund event to get the ball rolling in the direction of an Amateur Racing revival. • February 2012 – The tender for the installation of the thermal barrier paint at the STC was awarded and, unfortunately, subsequently called off. Both the Japanese paint supplier and our local contractor were not comfortable with issuing warranty as they were uncertain of the ambient temperature and conditions in and around the stables. For the full story regarding the installation of the thermal barrier paint for the STC, please refer to the 2011 Newsletter, 14 May 2011 – 24 Dec 2011. • 24 Jan 2012 – It was heart-aching to see our best performing horse, TOAST Trust 16 “Smoking Joe” having to retire early. “Smoking Joe” was put down through euthanasia after his near-fore leg broke down shortly after passing the 800m mark in his last race on 24 Jan 2012. “Smoking Joe” will be missed.